In summer or winter, with children or grandparents, Bratislava is a fun place to be for the whole family. Enjoy some of the recommended outdoor activities or visit the interactive attractions. 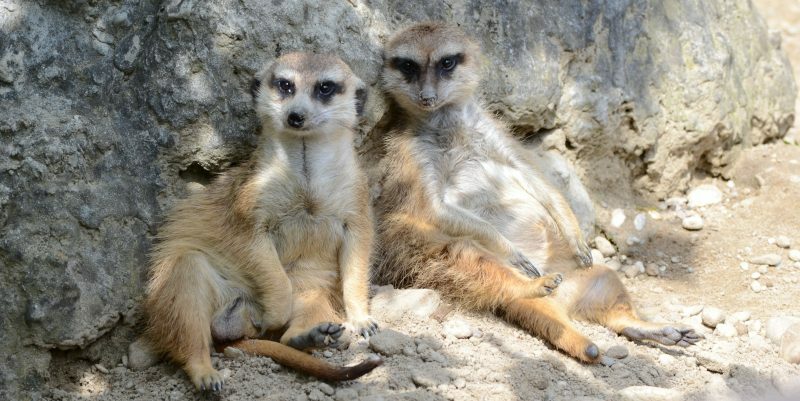 The most visited place of Bratislava is undoubtedly the Bratislava ZOO in Mlynská dolina. The Zoo is a home to more than thousand animals of nearly 180 species. During the weekends from May to the end of September, a commented feeding of animals takes place. During this time, you may get closer to the animals than usual. It is especially lively at the Zoo during special events for children, such as the International Children’s Day or St. Nicolas Day. DinoPark is also part of the area. Children can get to know various types of life-size dinosaurs. Those interested in more info are more than welcomed to read the information tables, visit a 3D cinema or play on a paleontological field. If you are a holder of the Bratislava CARD City & Region tourist card, you have a 100% discount on visiting the ZOO. In addition, you can enjoy free rides with the public transportation. 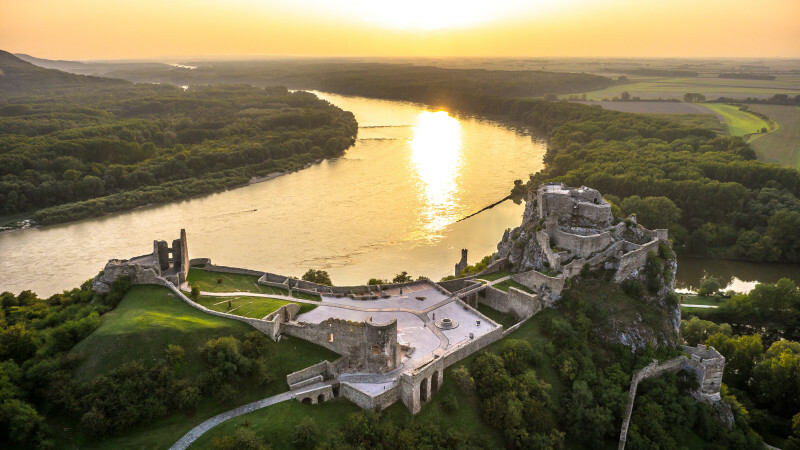 A piece of beautiful nature and history waits for you at Devín Castle, one of the most important historical and archaeological sites of the Central Europe. Unique views of the conjunction of two rivers – Danube and Morava. Cultural events such as Knights of Devin are held regularly there. One of the most popular recreational sites is Železná studienka with lots of greenery to enjoy. You can take a cable car and enjoy a view from an altitude of 186 meters. Partizánska meadow offers space for cycling, skating or fishing. Visit Železná studienka and enjoy a picnic, tranquil walks, playgrounds. In an unpleasant weather kids can get bored quite easily. 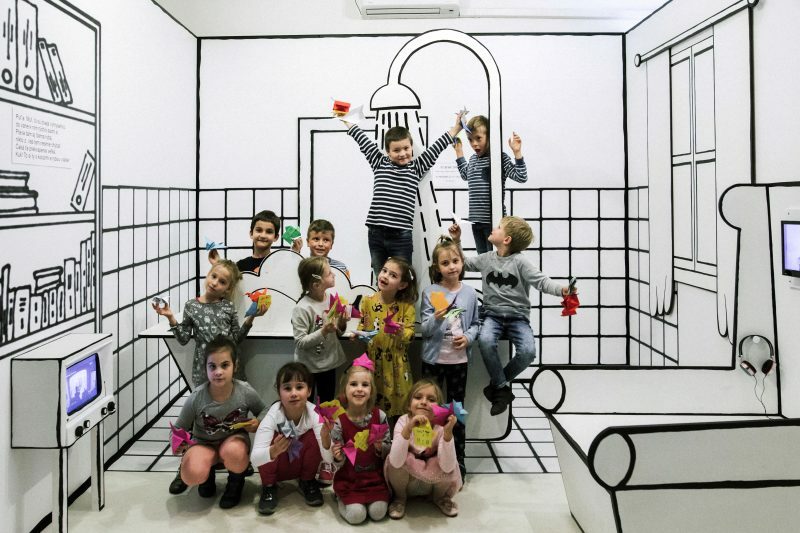 To avoid that, take them to the Jump Arena or Bon Manufaktur (10% off with Bratislava Card City & Region) where they can make their own candies or take them to the Aurelium Science Center – a rare combination of a school, museum and amusement park. Its idea is based on the belief that everyone learns best through real experience. Gallery Multium (15% discount with Bratislava City Card & City) in the center of Bratislava with six infinite rooms is an illusion made of mirrors and special lighting effects. The project was inspired by a Japanese artist. The combination of fun and learning – what more to expect at the Natural History Museum? Discover the story of life on Earth and get to know the beauties of Slovakia’s nature. The life-sized models of extinct animals will surely amuse you. You can visit Bibiana, a children’s art house right across from St. Martin’s Cathedral in every weather. Bibiana shows culture in a very unusual way. The International House of Art for Children supports the development and dissemination of professional art for children. Besides unique interactive exhibition projects, the art house also works on projects aimed at the wider public. Do you know what kiwanis dolls are or would you like to see movie animations? Go to Bibiana today. Thanks to Bibiana, Bratislava transforms itself every two years into the kingdom of children’s books. The biannual event full of illustrations brings to the capital drawings from children books from around the world. Every city had to be defended in the past by soldiers and weapons. Bratislava was no exception. 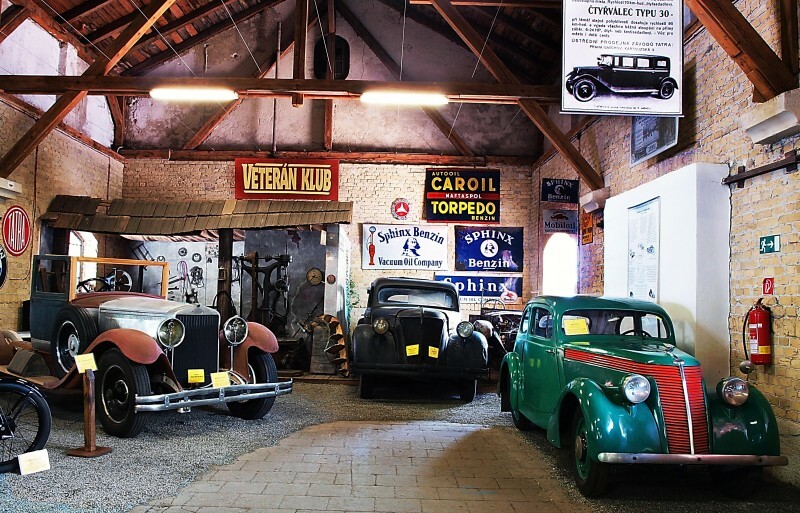 The Museum of Weapons acquaints visitors with the history of the city fortifications, there are various types of weapons, military and tournament equipment, and a separate part is devoted to the history of firearms. 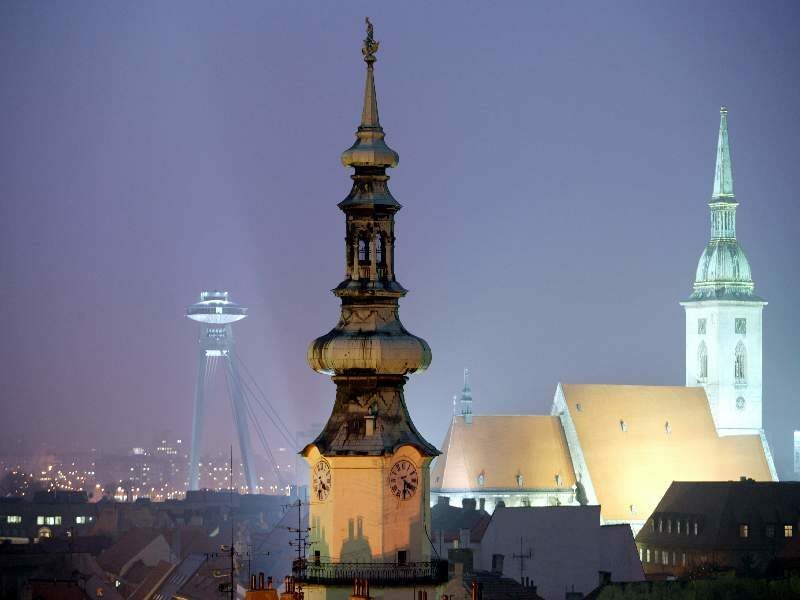 *100% discount with Bratislava CARD City & Region. Before our roads were full of cars, the city looked a bit different. The Museum of Transportation in Bratislava features a large collection of vehicles ranging from carriages, motor vehicles to steam, coal and electric locomotives, various means of transportation from bicycles, passenger cars and trucks of the inter-war period to vehicles from the 60s and 70s of the 20th century. 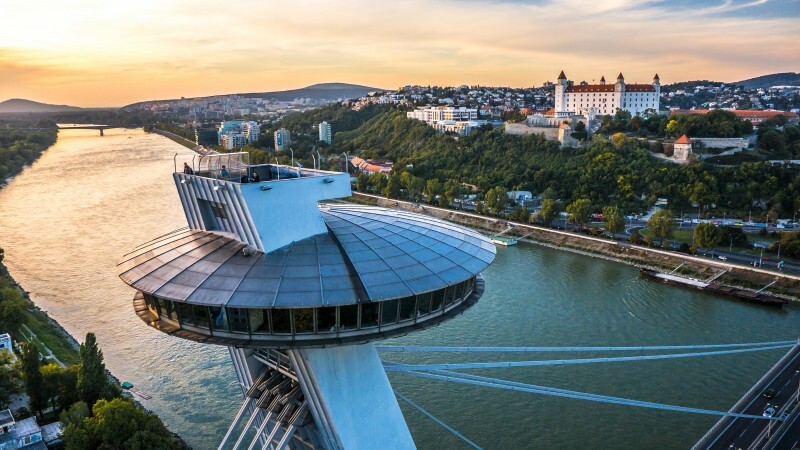 You can enjoy a beautiful view (up to 100 kilometers) over the whole Bratislava from the UFO tower. Take the elevator that gets you 95 meters into air and enjoy the city from the bird’s perspective. Want to make getting around the city more exciting? Hop on a tourist train that offers shorter and longer circuits. Learn about history and get to know all the important places from the comfort of a sightseeing train. The majestic castle is only about 50 minutes by car from Bratislava. The Castle and its rich history are best experienced especially during the castle festivities, knights’ tournaments and performances of falconers. An unusual atmosphere can be enjoyed during summer night tours. For its medieval charm, the castle was chosen as a prime object for shooting films and fairy tales such as Princess Fantaghiro or Dragon Heart. BioFarma is a natural gem near Bratislava. The farm is full of livestock, features a dairy and bakery, playgrounds, restaurant with summer terrace. You will find there plenty of beautiful trees and shrubs, meadows, orchards, forest kindergarten, vineyards. Come and see the animals that are well looked after, and enjoy the traditional delicacies made from natural sources. Abeland village was founded by Abel family. The village presents the life as our grandparents and great-grandparents knew it – living in a harmony with nature. Children will get the chance to see livestock, play on the playground and make different creative items during a special program. An adventure after adventure for the big and small, lazy ones and tireless athletes alike! You can look forward to various types of swimming pools with plenty of attractions. Water jets and spouts, water umbrella, massage benches and other great surprises are waiting for you. Apart from the above-mentioned benefits, you can enjoy a free public transportation to the Bratislava region with Bratislava CARD. During the season, you can get to Červený Kameň Castle on board of Carpathian Express.